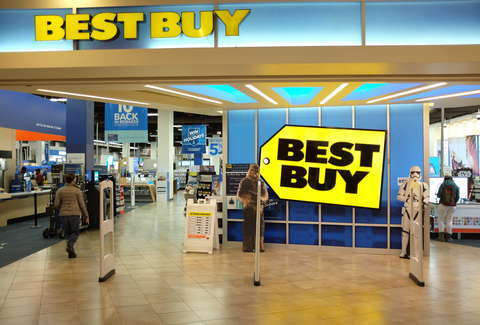 Best Buy's Huge 'Black Friday in July' Sale Is Today. Here Are the Best Deals. Amazon Prime Day has come to pass, and hopefully you got in on it while the website was actually operational. But if you did miss your shot at those deals upon deals, we're happy to inform you that you have another chance to impulse buy many things you didn't know you needed: Best Buy's "Black Friday in July" sale is happening this Friday, July 27. Make sure to investigate the complete sale page to see all the options, but we've rounded up a bunch of the best bargains right here to make it easier for you. There are Best Buy staples like TVs, printers, and Apple gear aplenty, plus personal care items like flat irons and fancy toothbrushes. Best Buy offered early access to the discounts -- some even deeper than the current deals -- on Thursday to anyone with a free Best Buy user account, so the sale is essentially in its second day. But don't worry, there are still plenty of discounts to be had, so get your damn credit card ready. If none of this is grabbing you, scroll a bit and you're sure to find something. And who among us couldn't use a new Waterpik Ultra Water Flosser ?